According to Ralph Stanley's liner notes, this was recorded with various personnel over number of sessions. It looks likely that Roy Lee Centers was present on all of the tracks, as all except two have been reissued as part of the Roy Lee Centers - The Early Years Vol. 1 and Vol. 2 retrospective albums. 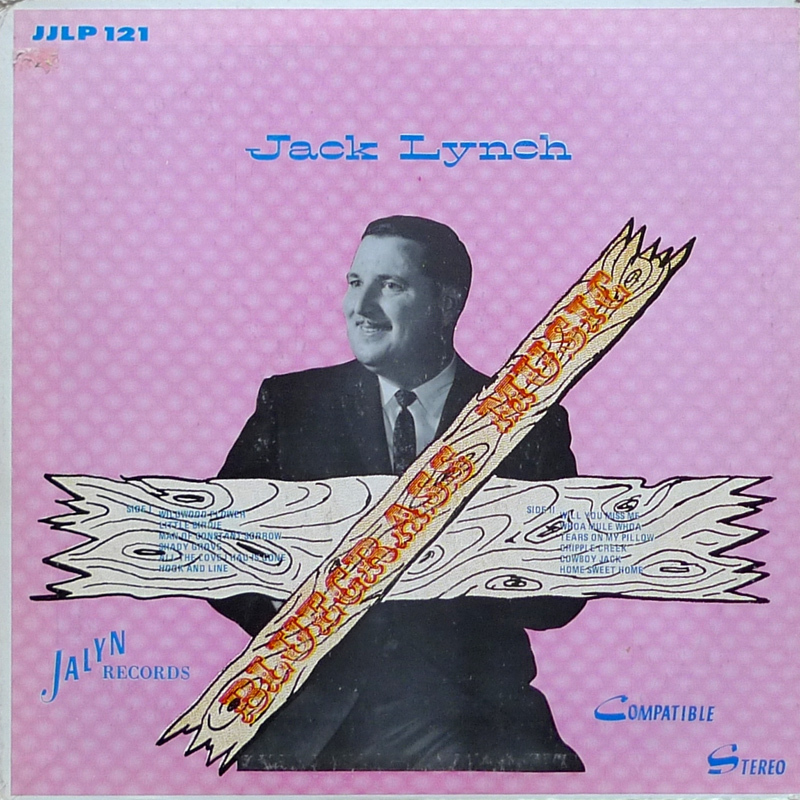 Some of the tracks appear to have been previously been issued on 45, as Jack Lynch and The Lee Brothers:- eg. Little Birdie/You Left Me This Morning (Jalyn 45-201) 1963; Will You Miss Me/Roy Lee's Breakdown (Jalyn 45-205) 1964; Little Birdie/All The Love I Had Is Gone (Jalyn 45-208) 1964; and Battle Of New Orleans/Cripple Creek (Jalyn 45-304) 1965. All The Love I Had Is Gone, credited here to Archie Jones, was later recorded by Ralph on his 1972 Play Requests album, where it was credited to Roy Lee Centers and Archie E. Jones. Archie also had some 45s on the Jalyn label some of which are credited, like Lynch's LP, as featuring The Miami Valley Boys. Musically, unlike The Easterners - Echoes Of The Bonnie & Clyde Era and I've Lived A Lot In My Time albums, Roy Lee's vocals are more akin to his later work with Ralph. Like most small label releases, the recording quality is pretty basic, although Frank Wakefield plays some fabulous mandolin on some tracks. Daniel Boone Centers, was Roy Lee's brother and Fred Spencer his brother-in-law. Lonne Bolin also played with Ralph, at least filling in on occasion, and can be heard on the Live at Watermelon Park CD from Berryville, Virginia 1969. Jack Lynch had worked with The Stanley Brothers - promoting gigs, and filling in on occasion on bass. He was also a pallbearer at Carter Stanley's funeral. 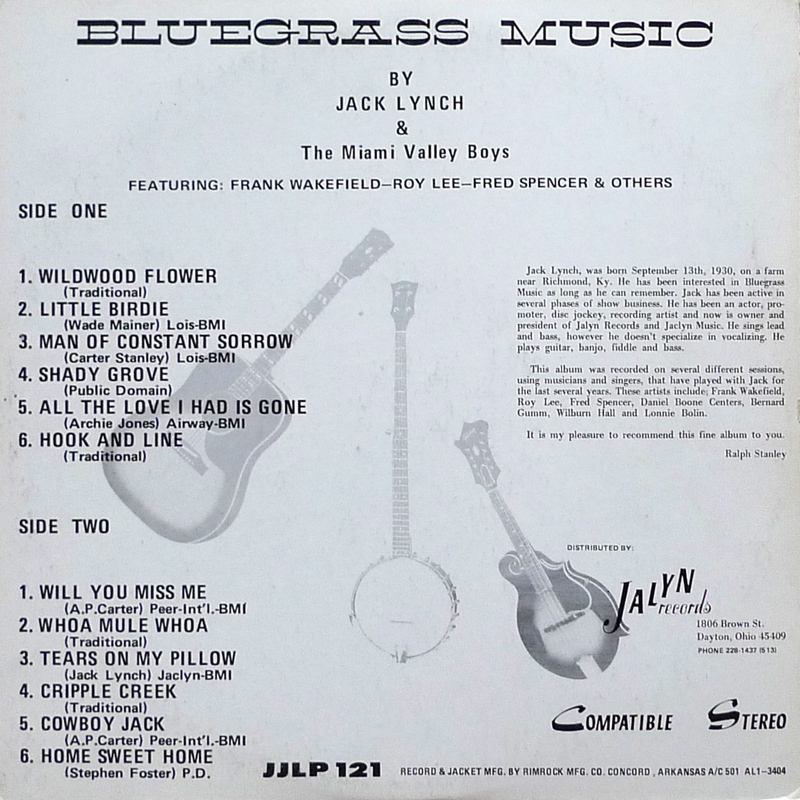 Lynch, of course also ran Jalyn which released Ralph's Old Time Music and The Bluegrass Sound albums; Curly Ray Cline's The Working Man; Lee Allen's Songs Of Love And Tragedy; and Keith Whitley & Ricky Skaggs - Tribute To The Stanley Brothers. After moving to Nashville in 1970 he formed the Nashvile Country label, which was responsible for Curly Ray Cline's 1988 The Deputy LP. The Early Years Vol. 1 features Wildwood Flower, Little Birdie, (Man Of) Constant Sorrow, Shady Grove, Tears On My Pillow, and Home Sweet Home. The Early Years Vol. 2 features All The Love I Had Is Gone, Whoa Mule (Whoa), Cripple Creek, and Cowboy Jack. The two tracks which don't feature on these compilations are Hook And Line (a clawhammer banjo instrumental) and Will You Miss Me.